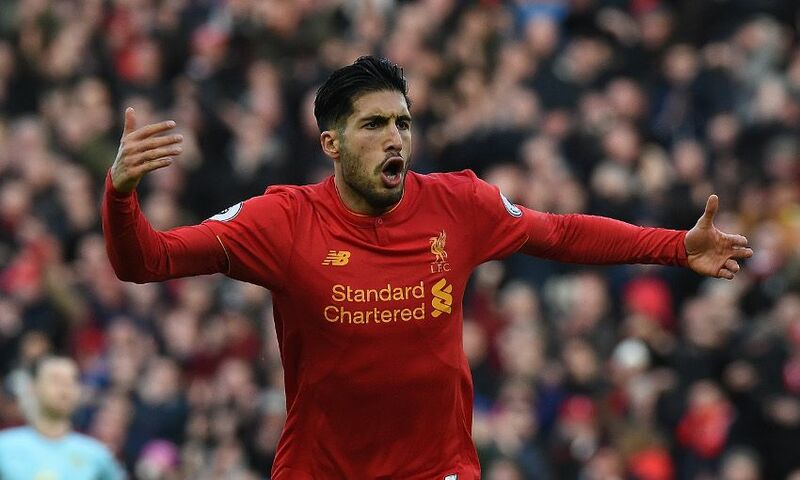 Emre Can hopes to have closed the book on what he admits was a 'tough period' for him with his brilliant winning goal against Burnley. The Reds came from behind to claim three important Premier League points on Sunday, with Georginio Wijnaldum grabbing the leveller on the stroke of half-time and Can producing a decisive Kop-end strike with an hour gone. Aside from its importance to the eventual result, Can admitted after the game that his goal held extra significance for him on a purely personal level. The German wants to use his match-winning contribution as a springboard to greater things after enduring a lengthy battle with a calf issue this term that he believes has had a negative effect on his form. He told Liverpoolfc.com: "I know I had a very tough period, I had not too much confidence in the last few weeks and it was not my best performance. "But I had the feeling I would come back, I had the feeling that I was getting strong again, and I know what I am able to do when I am fit, when I'm pain-free. "Today it was a step forward and I have to keep it up. I had problems with my calf and I didn't want to [have] a break and the manager didn't want it, I wanted to help my team. "Maybe it didn't help the team too much and myself as well but I'm very happy today, it was good, I felt good again, and that's the most important [thing]. "If I feel good, if I feel strong, then I know what I'm able to do." Fans inside Anfield might have been forgiven for feeling they were experiencing déjà vu when Ashley Barnes put the visitors ahead after just eight minutes. Liverpool's struggles against the league's so-called 'lesser' sides this season have been well documented, but they produced a perfect response to the critics in turning the game on its head. And Can believes earning a 'dirty' three points is just as satisfying as doing so in more stylish fashion. "It was a really big three points because in the past we lost that kind of match and today we won the match," he added. "We know it was not our best game but at this stage it's very important to get the three points and we got it. We're very happy. "It's very important to get the three points and sometimes to get them dirty, like today. "It was a very tough game because Burnley did very well - they were very strong in the air and they were clever, I think. It was not easy but we got the three points and that's the most important [thing]." The No.23 was also pleased to see Liverpool follow up last week's win over Arsenal with a victory gained in completely different circumstances. "It was a different game. In the Premier League, every game is very different, one team likes to play long and another team likes to play football more," he continued. "Today, it was different to last week. Arsenal wanted to play more football, not long balls, but today they played long balls and they are strong in the air. "I think we did OK, it wasn't our best game but we did OK."